I’ve always wanted to be a product tester. There are websites where you can register, and they’ll supposedly send you some stuff to try out. I’ve signed up, but no one’s ever sent a thing. My friend Jennifer, who owns and runs JennySue Makeup, gets packages daily. She tries out various beauty treatments and reviews them on her blog (www.jennysuemakeup.com). How fun! Last week, she tested lip tattoos. They’re temporary, but they are patterned. Like, not a solid color. Jennifer is a beautiful girl, but the lip tats looked weird even on her. At least she got to try them, and she and her kids got a good laugh. Not all items are bad, either. She probably has more stuff than she can ever use, and they keep sending stuff. Sign me up! I like health and beauty items, clothes, and small (and large) appliances, electronics, food, wine, furniture, and just about anything else. You name it; I’ll try it and talk about it. I can talk, and if I like what you send me, I’ll tell everyone to buy it. One day, I walked into the offices of The Metro Spirit, and my wandering eyes spotted a bottle of Exclusiv Vodka. Apparently, someone dropped it off and asked us to try it and possibly write a little blurb about it. Seriously? Someone twisted my arm and I offered to try it out. I guess I can take one for the team. It felt kind of silly. I mean, I’ve had a drink while writing before, but I haven’t written specifically about having a drink. Wait. I have? Oh. I’m not a wine snob by any means, but I know a little about what I like. As far as vodka goes, I know even less. My knowledge ends with the fact that spirits that come in plastic bottles and have a Mr. in the name will likely give me a headache. I like some of the flavored ones, but I’m mostly a purist. I don’t like martinis, because of the olives, and many other fruity drinks are too, well, fruity. I like a little soda and a few limes. 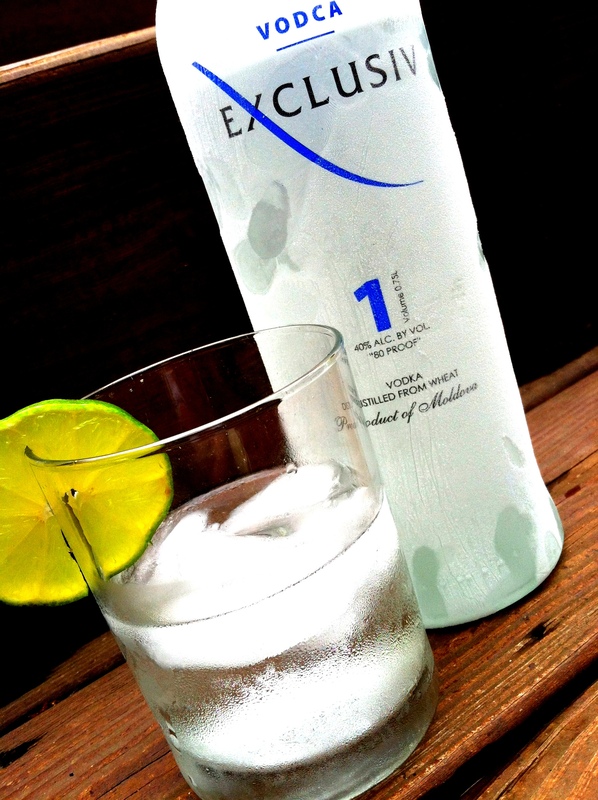 Vodka chilled. For the first taste, it seemed that a little in a double old fashioned, served straight up, was the way to go. If I really wanted to taste it, I shouldn’t mix it, right? Not really sure what I was looking for, I took a sip. Mmmmmm. Cold and, well, vodka-ey. Again, I’m not expert, but this stuff didn’t burn my nose or smell like alcohol. It went down smoothly and actually tasted pretty expensive. I think that people who don’t typically like vodka (what is wrong with you?) would find the taste to be very mild. To someone who drinks straight vodka or martinis, all of those qualities are probably of utmost importance, but the real test for me is how it tastes when I make it the “usual” way. I did, and it was delicious. I didn’t drink enough to test Exclusiv’s hangover abilities, but maybe I will this weekend. All in all, I’d recommend buying it. Apparently, the company also makes flavored vodkas, which might be interesting too. I’m not really into anything like glazed donut or PB&J, but just about anything is worth trying once. I’m telling you, I’ll try your products. Hopefully I’ll end up with more than liquor to taste. What am I even saying? Send it all. I can keep them straight. Or neat, shaken, or stirred. Cheers to a host of new business relationships and a calendar full of important meetings. I wouldn’t mind being well dressed, nicely groomed, comfortably seated, and well-fed, either. Just sayin’.